This shooting camp will allow players to develop their shooting technique allowing for a greater ability to score in game situations. 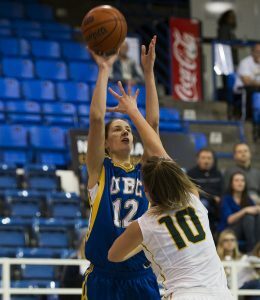 Proper shooting technique is necessary to have consistent accuracy, develop your range, and get shots off on a tough defender. This camp will not only drill you on your shooting technique but it will teach you how to create more shooting opportunities through the use of proper footwork and using screens effectively. Shooting off the catch, off the dribble, and finishing 1-on-1 moves will also be covered. 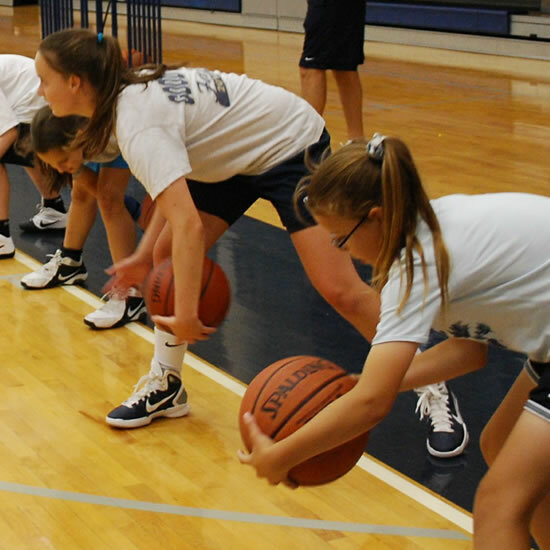 Pair this camp with the Girls Basketball Plus Program to take your game to the next level. 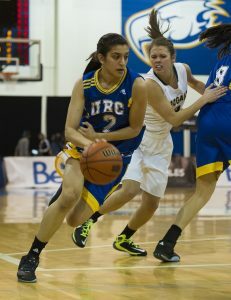 From left to right, Andrea Strujic, Jessica Hanson, and Shilpa Khanna; UBC Thunderbirds and Camp Coaches. *No camp on Friday, August 16, 2019! This girls-only camp will incorporate both on and off-court training to develop a well-rounded understanding of the skills needed for basketball. Develop basketball fundamentals and team play through drills, activities and games. Led by varsity athletes, this camp will expose you to healthy competition and an exciting learning environment. Lead by our experienced and qualified Strength and Conditioning Coaches weight room sessions will focus on learning the base weight lifting techniques required to increase strength and power for sport. Train with our personal trainers in a fun group environment, using fitness games and simple exercises designed to help your sports performance in basketball in a group setting. Come to UBC and learn from the best! 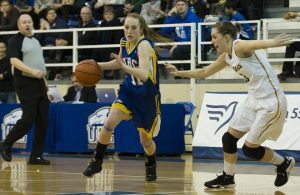 Varsity basketball coaches, along with top varsity athletes from the UBC Men's Basketball Team, provide top-level instruction in all fundamentals essential to learning and improving basketball skills. This is a perfect camp for boys and girls of all skill levels because we focus on the FUN-damantals!